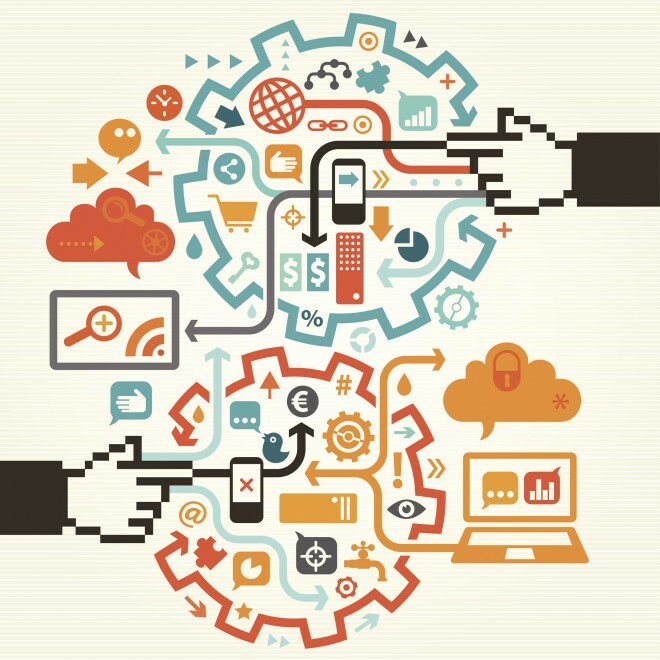 You might have heard the recent hubbub about and wondered what exactly is “net neutrality”. Here’s a very short overview and should allow you to handle yourself when the topic comes up during casual dinner conversation. “net neutrality” – the principle that Internet service providers should enable access to all content and applications regardless of the source, and without favoring or blocking particular products or websites. As a result of the recent ruling cable and phone companies like Verizon and AT&T can now legally block any website, webpage, blog, video from their network. Even as an extreme example they could block this post. One action might hit closer to home. Perhaps you are one of the growing number of users that are scaling back on your expensive cable channels and saving money using Netflix, HULU and other streaming services. Comcast or Time Warner Cable can now block Netflix. Last month there was little Comcast could do, however, now they can slow down Netflix streams, or charge a premium to stream that content. Upset want to learn more ? Below is a link to an excellent article on recently published in Wired magazine. Resolve to make this a MOLO year for your business. What is MOLO? Beyond being our contribution to the societal ill known as acronymitis, MOLO is a strategy to harness the power of the mobile phone to drive customers to your local business. More people will access the Internet via mobile devices than with their home or office PCs in 2014. This presents some great opportunities for local businesses but some challenges must also be addressed if you are to convert these on-the-go customers. Mobile prospects are dealing with smaller screens, smaller bandwidth capabilities and, in most cases, smaller decision-making windows. They need locally-driven content optimized for the mobile platform. But you know all this – how many times have you used your phone to search for a product or service? Making sure you win your share of customers in the mobile arena will take some effort and focus. Luckily for you, we at Walden Pond Design have made Mobile a priority for local businesses for the last few years. In fact, we were one of the first CT shoreline companies to develop a mobile website. We’ve developed them for local businesses like Bar Bouchee, Madison Art Cinemas, Wilcox Energy, Union League Café and Thimble Island Cruises. We’d be happy to develop one for you. Last year, we gave a presentation at the Blackstone Library in Branford on some of the best practices in developing mobile sites. Click here to download the slide deck of our Mobile Design Presentation. Like most technology solutions, things change fast and applications vary by business situation; if you are interested in seeing what a mobile site might look like for your specific business, click here. Want to continue the conversation? Over the next couple of months, we will use our blog to impart our own unique take on how local businesses can best take advantage of the mobile computing wave. So stay tuned. And stay on course to make MOLO marketing a key to your success in 2014. As a small business, we here at Walden Pond Design are always looking for ways to “punch above our weight”. Given this, we thought many of our fellow small business owners in retail might be interested in the American Express Small Business Saturday program. Created to help small businesses stand out during the frenzy of large retailer and on-line purchasing activity that now begins, seemingly, just after customers have finished their Thanksgiving pumpkin pie, the program incents American Express cardholders to spend money at small businesses on the Saturday following Thanksgiving. It also provides retailers with promotion and merchandising kits to make prospects aware they are participating in Small Business Saturday. The trade publication Independent Retailer recently published an article detailing ways to get the most out of participation. Is your site built for speed ? According to study by Akamai 40% of users will abandon a web page if it takes more than three seconds to load. Slow loading websites are bad for your business. In a store you will wait a few minutes to speak with a salesperson, but on the web you can simply close the slow loading site and load another site. Why wait when there are so many others sites. 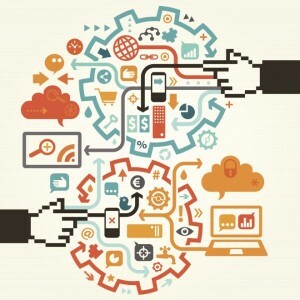 We live in a fast-paced world and the Internet is all about speed and convenience. Google recently account that a slow loading website can have a negative impact on your Google ranking. Google is constantly working to provide users with the best possible experience, and “fast” is “good”. Click here to read more from Google Blog for Webmasters. It’s expensive to rewrite a poorly built site but there are two easy ways to ensure your site loads quickly. One is use a good hosting company. Web Hosting as become a commodity and many people are using cheap overloaded hosting solutions. Take a peek at the graphics displaying the load time for a site before they moved to our hosting platform. The site took 5.52 seconds to load, almost 6 seconds. Old hosting company. Load time almost 6 seconds. Would you wait that long to view a page. It’s a beautiful site and worth the wait, but unfortunately, too many left. Now take a look at the load speed after it was moved to our hosting server. The load speed is 730 milliseconds, or LESS THAN ONE SECOND. Now it loads in LESS than one second. Large photos is a huge problem especially with many people uploading photos from their iPhones or digital cameras. There are many free programs that allow you to resize your photos, check to see if one was included with your camera. Many free online programs allow you to reduce the size of your photos as well as make simple edits. I tell my clients to investigate PicMonkey, it’s free and easy to use. So before you spend a ton of money on a Search Engine Optimization make certain your photos are not too big and you have a good hosting solution. Click here to test the load time of your site. Television is changing before our very eyes. People are now watching TV with their laptop and smartphone next to them on the couch. In many cases Twitter traffic during a TV episode functions like real-time Nielsen Rating reporting. 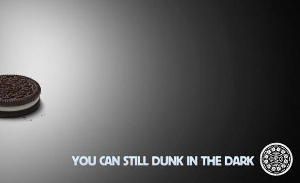 Here’s the clever tweet that Oreo’s agency tweeted during the Super Bowl blackout. The cookie company’s agency 360i was gathered during the game and they designed, captioned the tweet within minutes. Viewers apparently loved Oreo’s message, which was retweeted 10,000 times in one hour. This has many wondering did this single tweet have a greater reach than their million ad, which also played during the game. 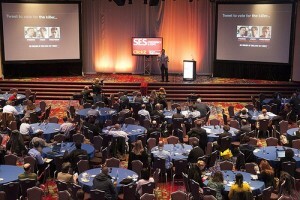 Went to the big Search Engine Strategy Show in New York last month. The highlight of the show was the integration of Twitter and Television. It’s pretty scary, but TV will never be same. I will be posting highlights of the show. Major updates from Google’s Panda and Penguin change dramatically the way good SEO (search engine optimization) should be handled.